The first daughter of USA, Malia Obama, created a stir on internet this weekend when she skipped the Democratic National Convention and attended a concert in her hometown of Chicago. A video appears to show President Obama's daughter dancing with her friends, perhaps twerking and grinding with a few gal pals on Sunday while enjoying a performance from rapper Bryson Tiller. Malia, who was wearing a tube top and pair of cutoff jean shorts, even posed for a few photos while she danced. The 18-year-old had some fun on Friday as well when she and her friends caught rapper Mac Miller's set, with the teenager photographed as she playfully lifted up her skirt while dancing at one point to reveal a pair of boy shorts underneath. Malia did not get too crazy however, and was accompanied to the festival every day with her Secret Service detail, who stood out slightly in the sea of teenagers. Malia was also spotted dancing up a storm with her friends on Thursday night, catching a performance from Norwegian DJ Cashmere Cat. This is not Malia's first trip to Lollapalooza, having been spotted at the festival back in 2014. 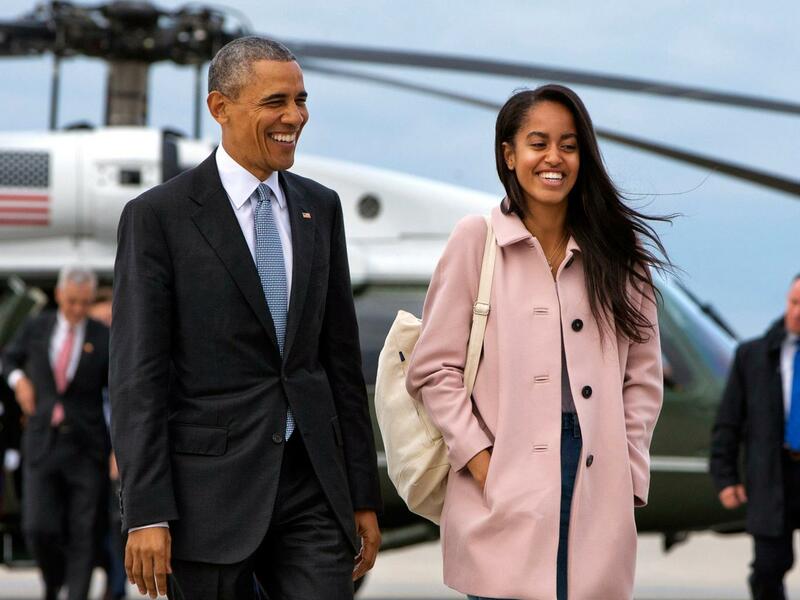 Malia is currently taking a gap year after making the decision to push back her acceptance to Harvard University by one year as her family prepares to transition out of the White House and back into public life.